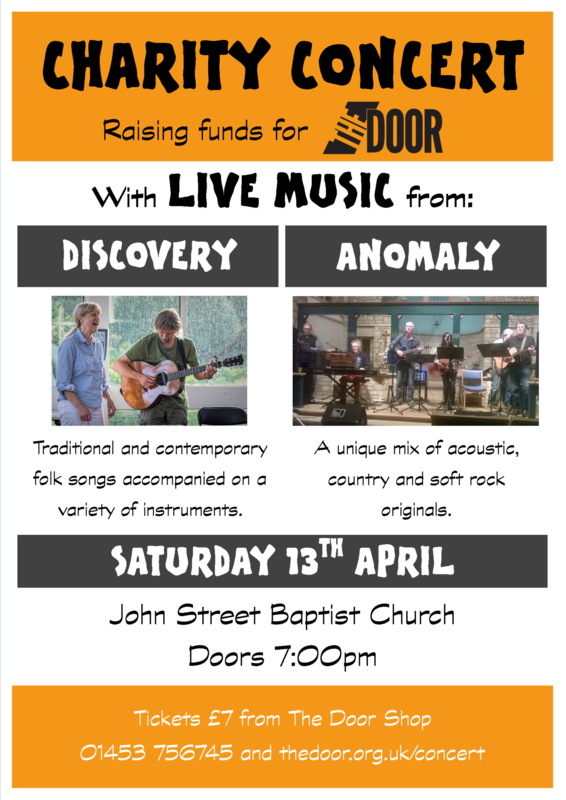 Join us for a wonderful evening of Folk and Fusion at John Street Baptist Church. Discovery - Local folk duo Jeff and Elaine Gillet - with a superb selection of both traditional and contemporary folk songs, including harmonies and tastefully accompanied on a variety of instruments. Anomaly - Bringing their unique mix of acoustic, country and soft rock originals this local band are sure to get your toes tapping. Refreshments will be served during the interval and raffle tickets will be available to purchase throughout the evening. All proceeds will go straight to The Door, supporting young people and their families throughout the Stroud district and beyond. 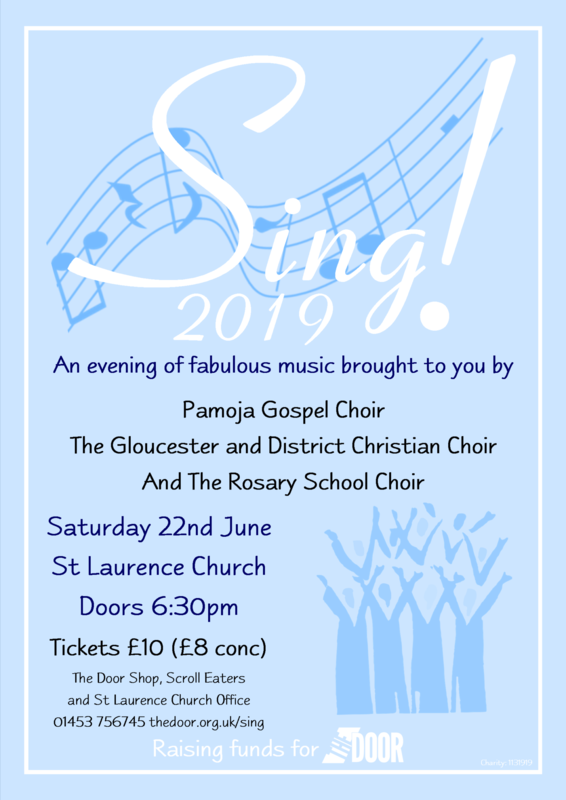 Join us for a fabulous evening of music from: Pamoja Gospel Choir, Gloucestershire District Christian Choir and The Rosary School Choir.